We are pleased to accommodate returns and exchanges within 30 days on all sets that have not been used, worn, or tampered with. Good news is that we have TNT return service,you can arrange return at home. If want return or exchange, please e-mail us at service@addcolo.com to initiate your return and we will be more than happy to assist you further. Easy: e-mail us at service@addcolo.com and let us know your order #. We will then provide you with instructions and a return address to ship your set back. All returned items will be inspected to see if you qualify for a refund, as cut lace will not be refunded. Note: we highly recommend to ship your set via a trackable shipping option, as that can greatly expedite the process. We will provide a refund on unused hair products within industry leading ten (10) days of the date that you receive your hair products. 3. WHY ARE addcolo HAIR Lace wigS NON-RETURNABLE IF cut lace? 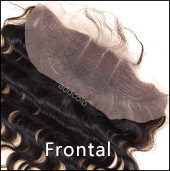 Cut lace wig or sewed weft can't able used again,if hair products have quality problem we can refund or exchange,other reason can't able full refund or exchange new one. Yes, you are responsible for all return shipping costs,if we got the hair and confirmed hair product have quality problem we will refund . We recommend that you send your return with a tracking option, because Addcolo Hair will not be responsible for lost returns. Note: please indicate "RETURN, NO DUTIES" on the package, otherwise the package may be returned to you. 5. MAY I RETURN MY ADDCOLO HAIR PRODUCTS WITHOUT CONTACTING YOU OR GETTING AN RMA? No. You must contact us prior to sending your return, as the return address may be different from the address your order was originally shipped from. Also, the RMA facilitates tracking of your returned product and expedites your refund. Please note that refunds for merchandise returned without contacting us cannot be guaranteed. A full refund will be provided to the original method of payment after we have received, inspected and confirmed that the returned hair products were not used. All customers must contact us after sending the package back and provide us with the tracking information in order for us to process the refund. Some financial institutions can take up to 3 business days to process the refund. Please allow a few business days for your financial institution to reflect the refund on your statement prior to contacting us. You may contact us by e-mail at service@addcolo.com The Addcolo Hair Support team operates seven days a week, 24 hours a day. We always guarantee a response within 24 hours and will be happy to help you! Should you have any other questions, feel free to e-mail us at service@addcolo.com.We're here to help!